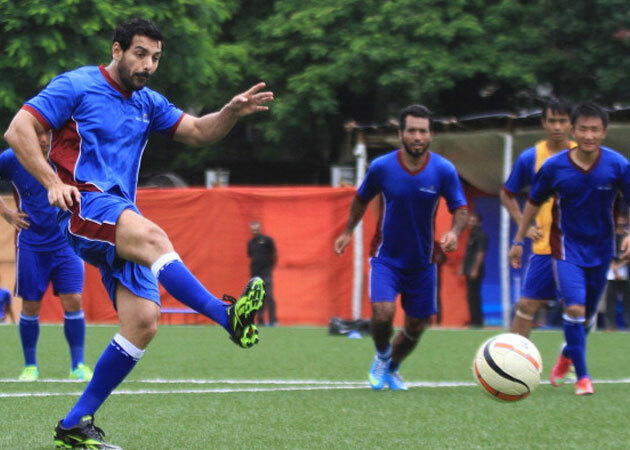 John Abraham’s “1911” is a film on football. The actor describes it as a combination of “Lagaan” and “Chak De! India”. “We are very excited about it going on floors,” said John. “We are doing a lot of research on the film. It’s a true story. For people, who want to understand what kind of a film it is, it is like ‘Lagaan’ meeting ‘Chak De! (India)’. I would hope and say that it’s even better,” the 41-year-old said here during an endorsement shoot for the Hockey India League team Delhi Waveriders. “1911” is based on both the popular football clubs Mohun Bagan and East Bengal. “More than just Mohun Bagan, I like both East Bengal and Mohun Bagan. I think it’s important to share with people that it’s not just on Mohun Bagan, it’s a film on football. It’s a film that I am producing and Shoojit Sircar in directing, it’s called ‘1911.’ It is starting this October,” said John, who had earlier featured in football based drama “Dhan Dhana Dhan Goal”. While “Lagaan” was a period drama set in pre-independent India revolving around the sport of cricket, “Chak De! India” was about the women’s hockey team. Rani Mukerji signs up for the Police!